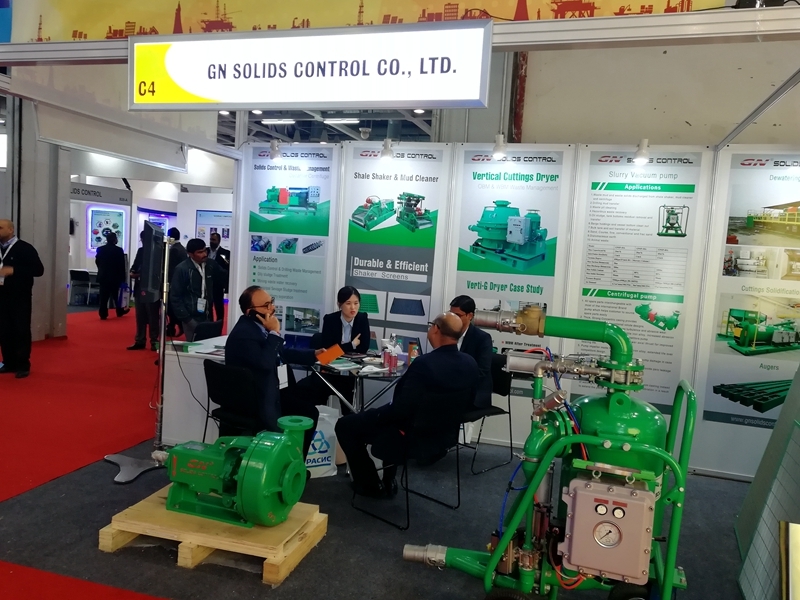 GN Solids Control participated the PetroTech 2019 in India two weeks ago with great success. Many customers who have dealt with GN came to GN booth to talk about the order in process and future requirements. Some other visitors who came to GN booth and showed great interesting in GN technology and discussed with GN sales team for opportunity of cooperation. GN showed below equipment and parts at the exhibition. 1. GNZS752 shale shaker is with two panel shaker screens. The shaker is the first stage solids control equipment for coarse cuttings removing from drilling fluids. GN is also able to manufacture the shale shaker with 3-panel and 4-panel shaker screen with larger treating capacity. 2. Shaker screen is now one of GN main products due to it is a consumable parts for mud recycling. GN set up own factory for fabrication of screen for better quality control and cost saving so that to provide customer with reliable and cost competitive products. GN is able to supply replacement screens for almost all popular brand shakers. 3. 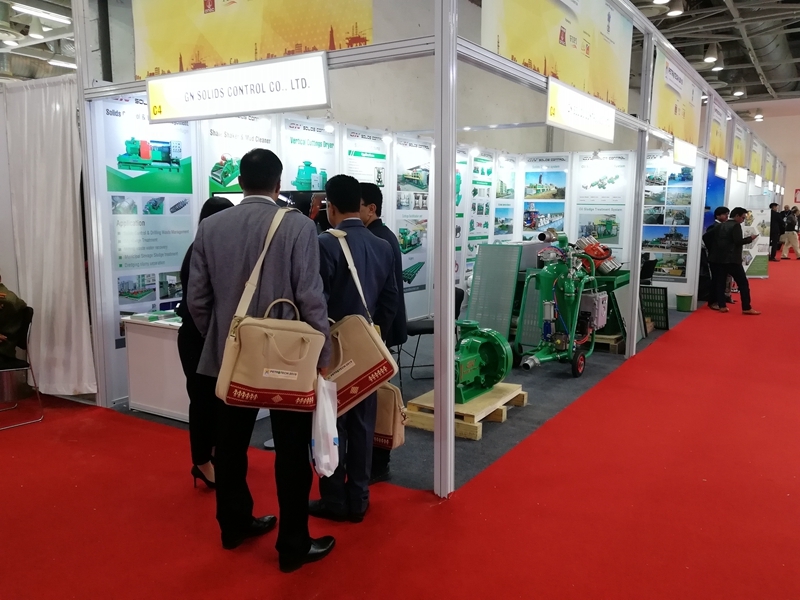 GN also showed the transferring pump at the exhibition. Sand pump is widely used in mud recycling system for feeding to cyclone unit and for mud mixing. 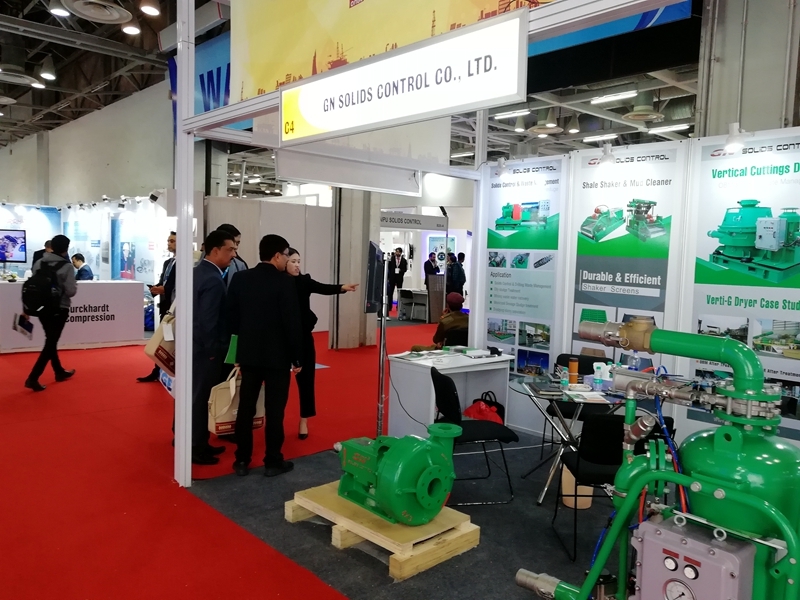 GN new developed solid vacuum pump is especially for high solid content sludge transferring with fully pneumatic driving system for safety operation in hazardous area. 4. 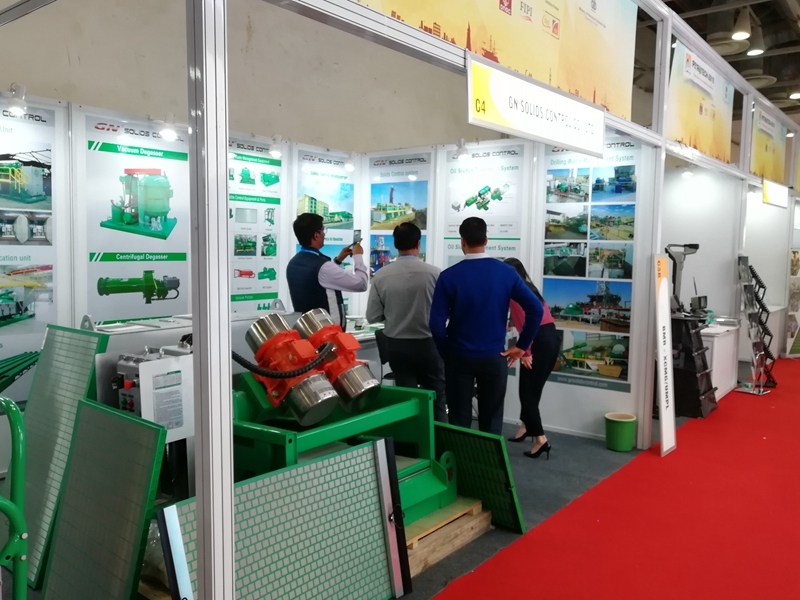 Many visitors showed interesting at GN oil sludge treatment system that can be used to treat the oily sludge coming from drilling waste, refinery plant waste and oil storage tank bottom remaining. GN makes the oil sludge treatment system modularized with premixing skid, coarse solids separation skid, fine solids separation skid and 3-Phase separation skid for valuable oil recycling and waste discharge reducing. Visitors stop by GN booth and watched the oil sludge treatment system working video. For more information, please feel free to contact with GN Solids Control.